Posted January 31, 2011 in Uncategorized. 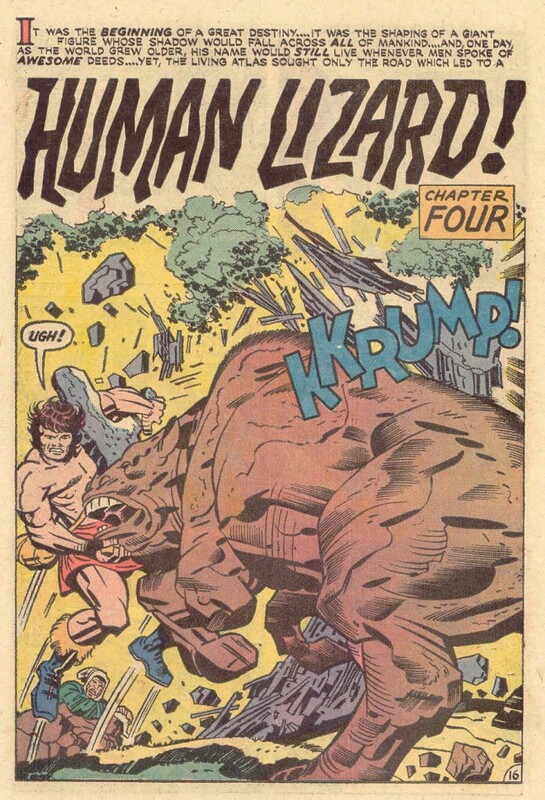 Journey Into Mystery # 123, Page 17. Terrific example of how I feel Colletta did effective work on large images like this splash page. 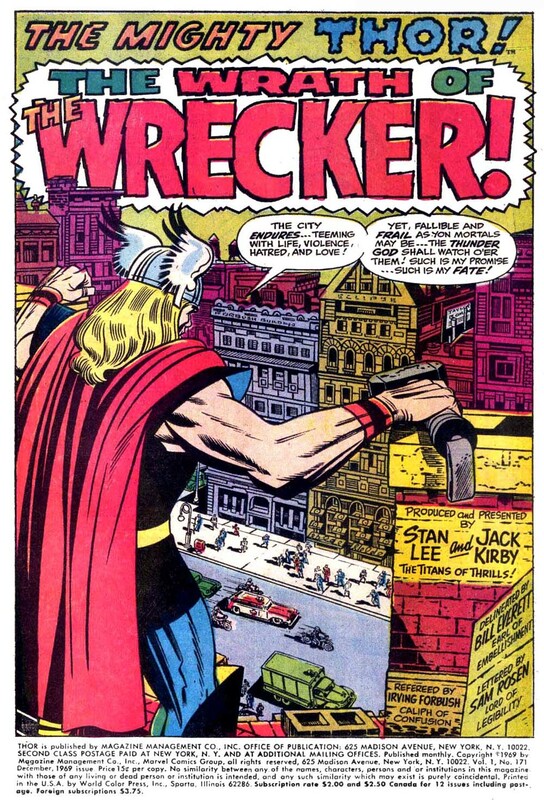 Posted January 30, 2011 in Uncategorized. 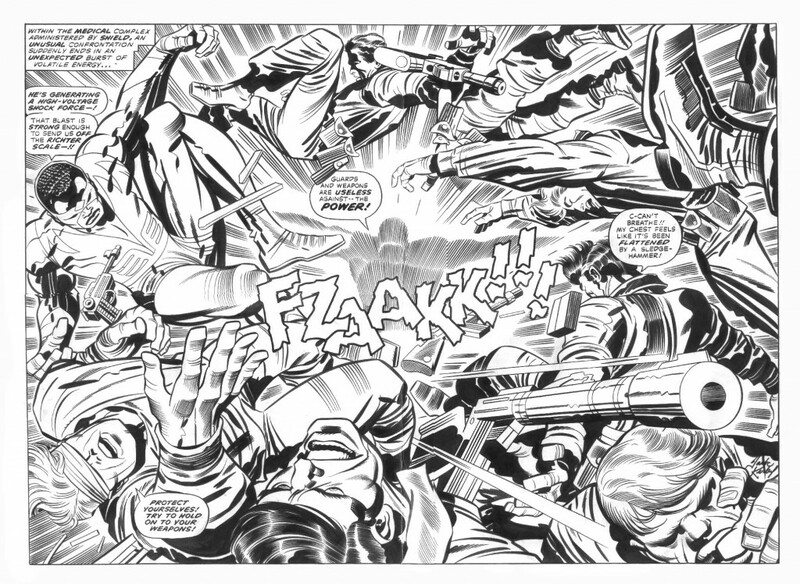 Captain America # 214 (Oct 1977) double-page spread. Kirby /Royer. 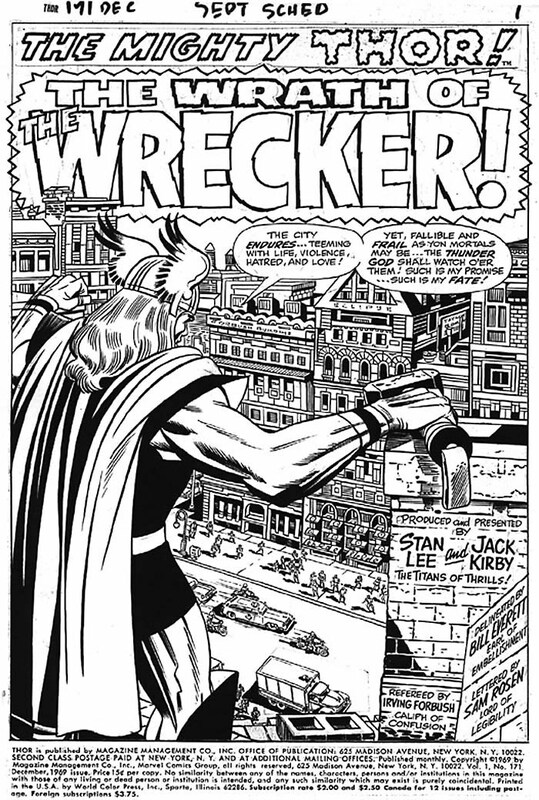 This would be Jack’s last issue of Captain America. Posted January 29, 2011 in Uncategorized. 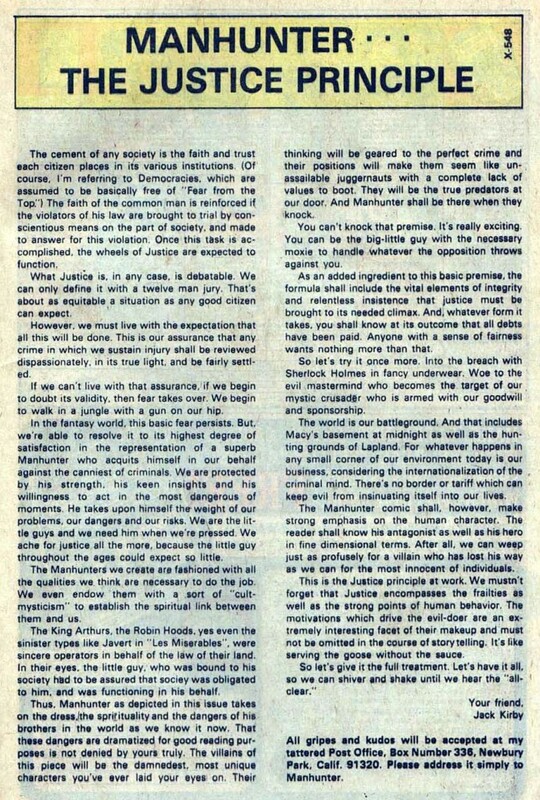 A text piece from First Issue Special# 1 Apr (1975). 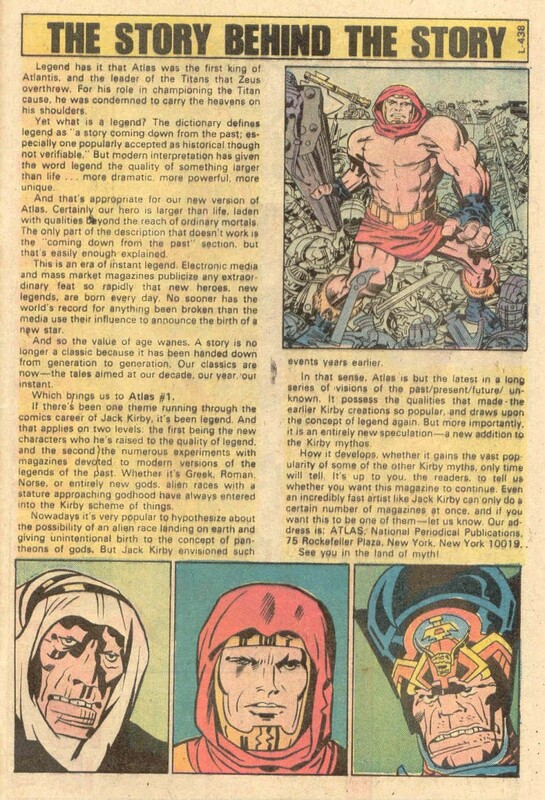 I’m not sure who this was written by, but it’s an interesting glimpse into how new comics stories were presented to readers. Posted January 28, 2011 in Uncategorized. 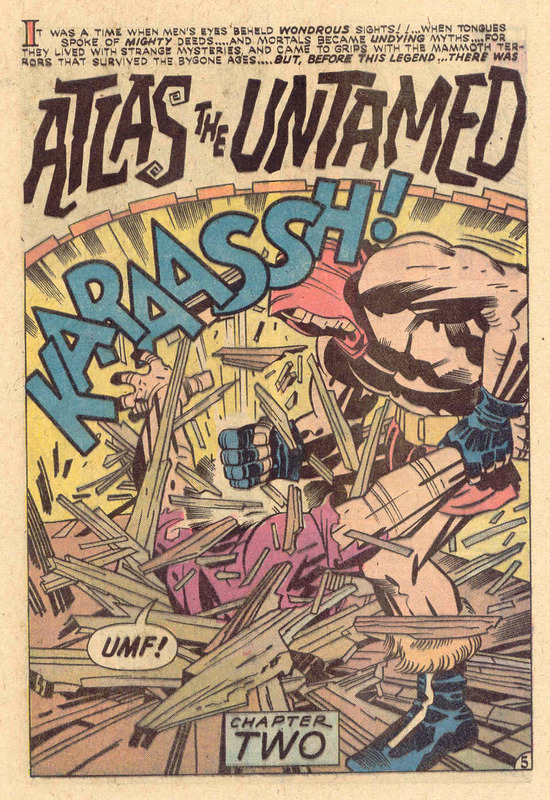 Jack is famous for his double-spreads, but at a few times in his career he did single spash pages for chapter breaks. 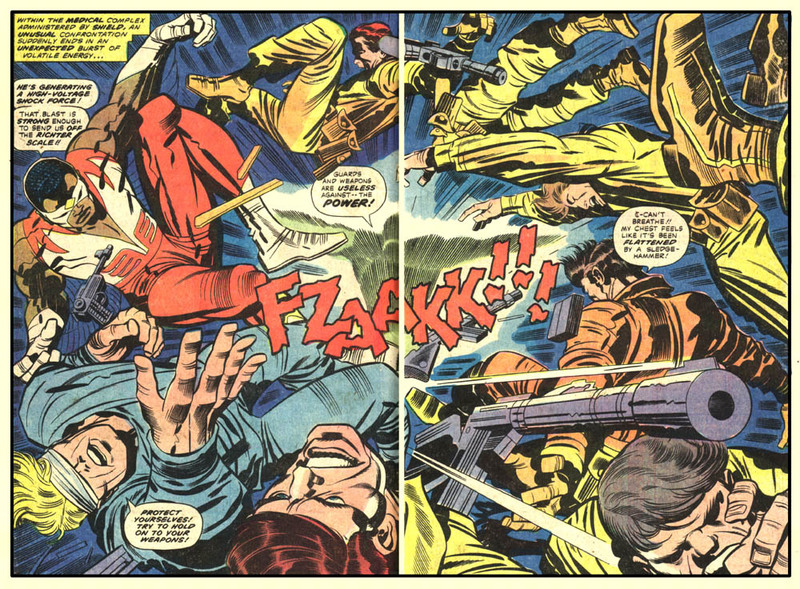 Here are examples from First Issue Special # 1 Apr (1975). 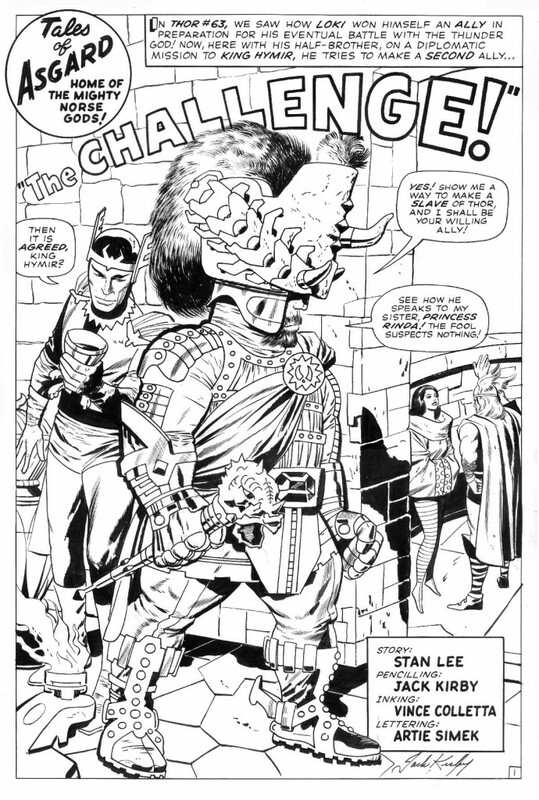 Art: Kirby/Berry. 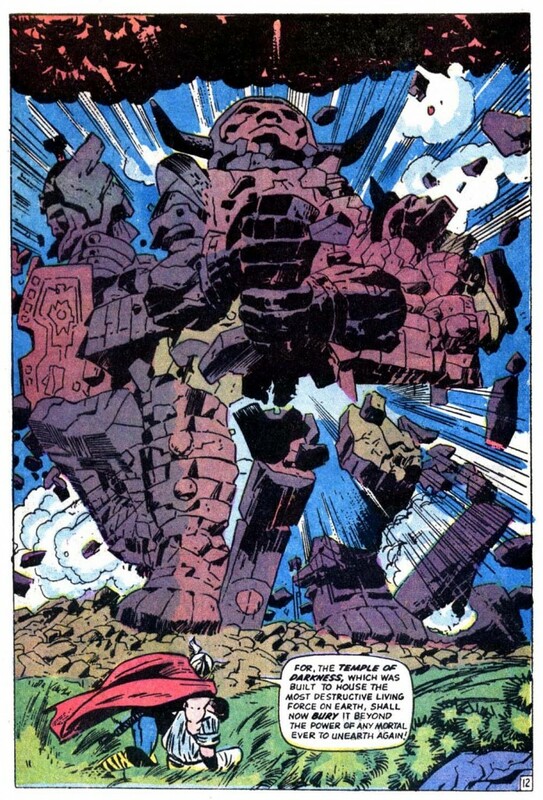 Posted January 27, 2011 in Uncategorized. 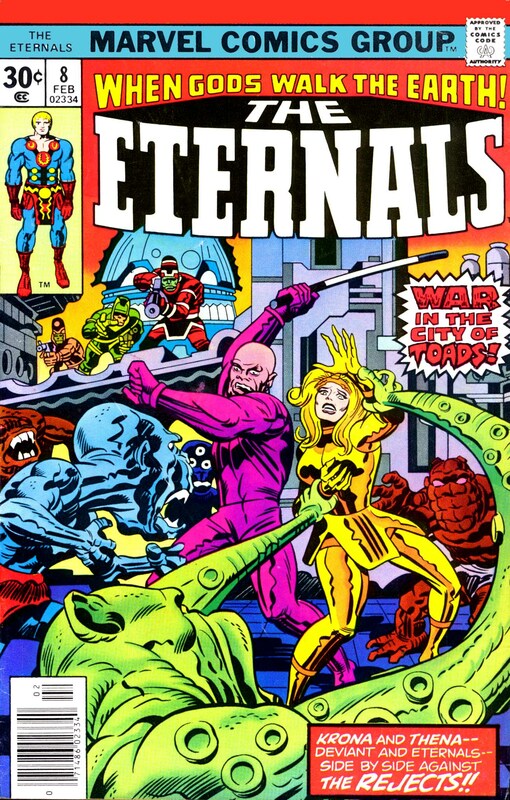 Cover from First Issue Special # 1 (Apr 1975). 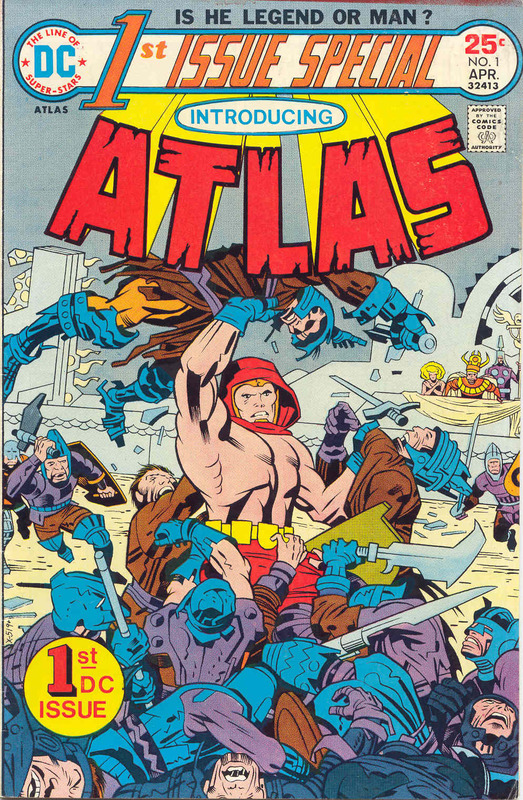 “Atlas the Great,” art by Kirby/Berry. 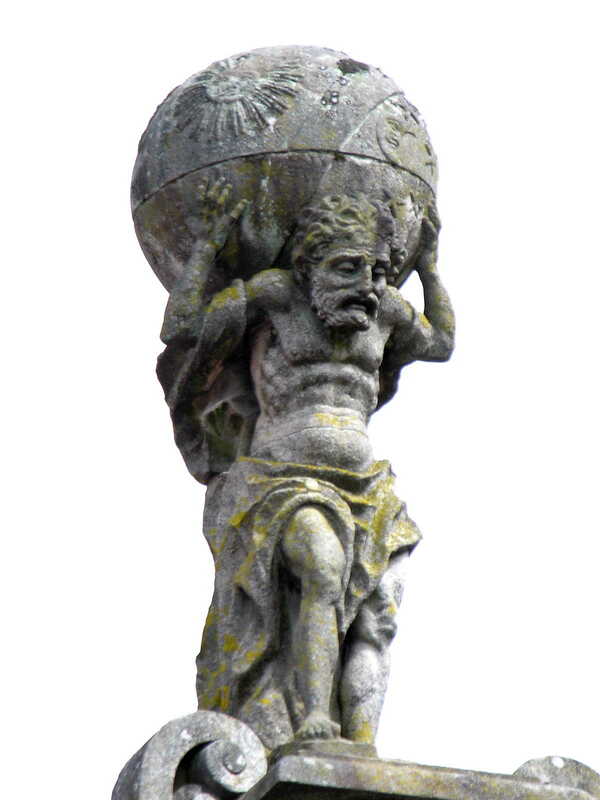 Kirby’s version of Atlas seems like a synthesis of Jack’s take on Hercules and Thor and bares little resemblance to the famous Greek Atlas who holds the globe on his shoulders. Posted January 26, 2011 in Uncategorized. 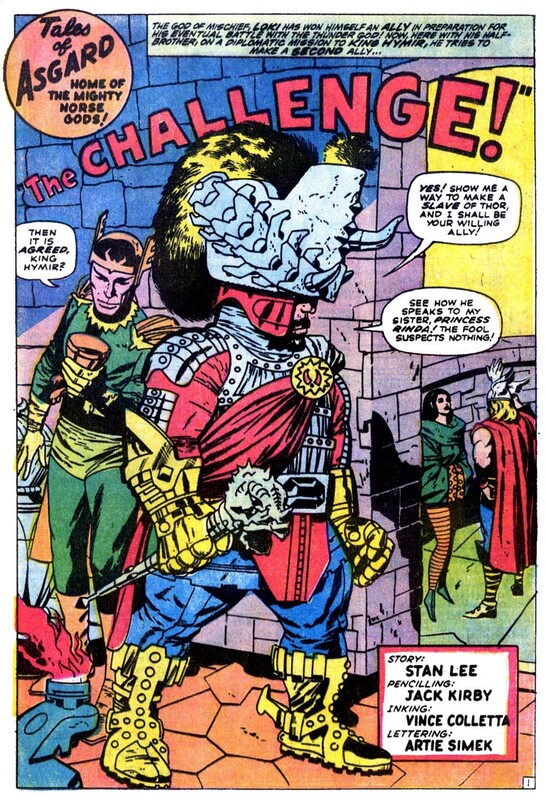 Splash from First Issue Special # 5 (Aug 1975). Below that a text piece by Kirby from that book. Posted January 25, 2011 in Uncategorized. 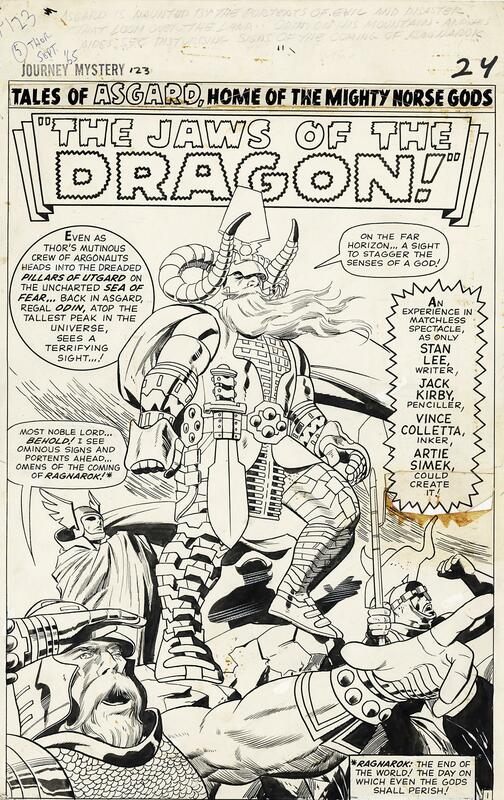 Journey into Mystery# 119, page 12 (Aug 1965). 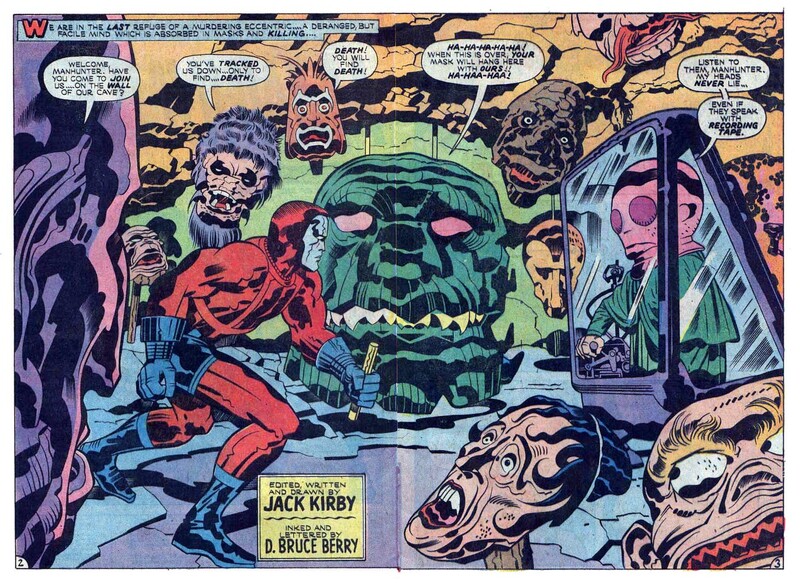 Kirby/Colletta. 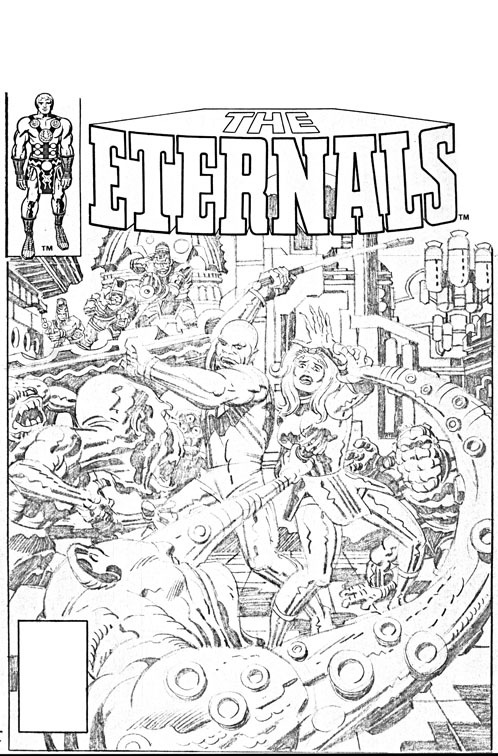 The published page followed by a scan of the original artwork. Notice at the top of the original you can see where Colletta used white-out to achieve the speed lines over that black area, but when published a lot of these tiny details are lost. Posted January 24, 2011 in Uncategorized. 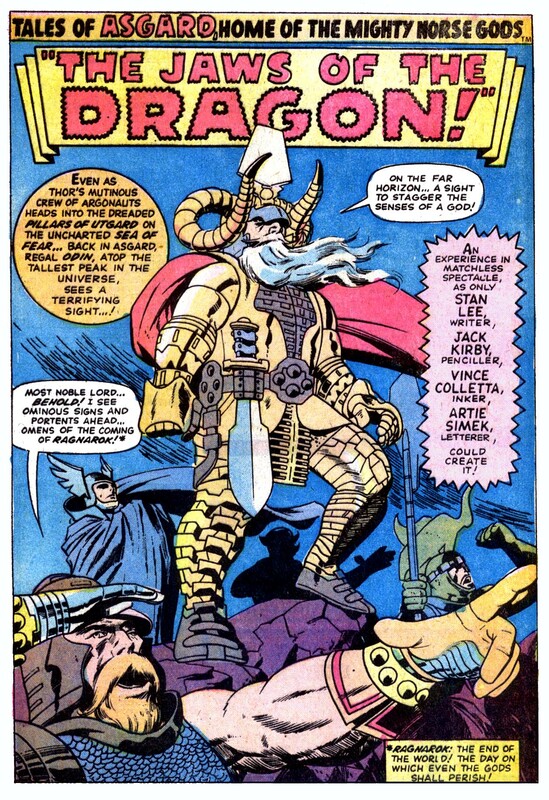 Journey Into Mystery # 116, page 17 (May 1965). 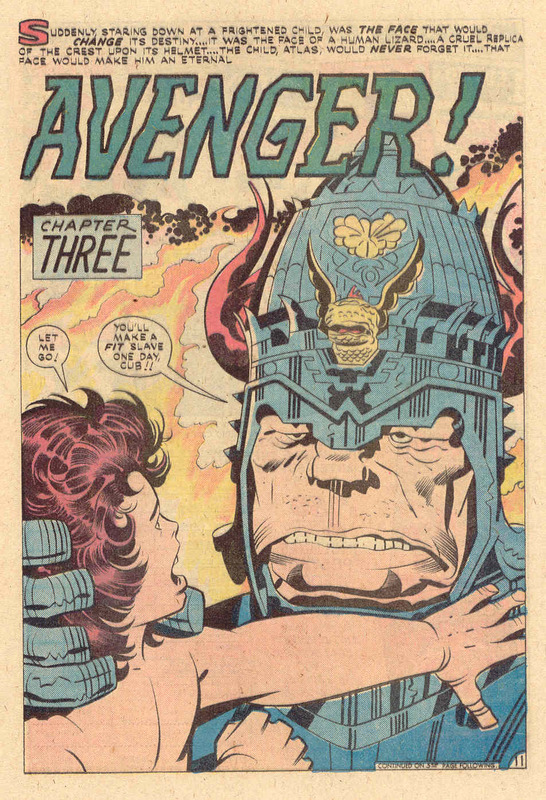 Art by Kirby/Colletta. Posted January 23, 2011 in Uncategorized. Thor # 171 splash (1969) Beautiful details on the cityscape by inker Bill Everett. 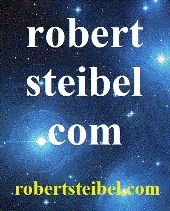 Posted January 22, 2011 in Uncategorized. 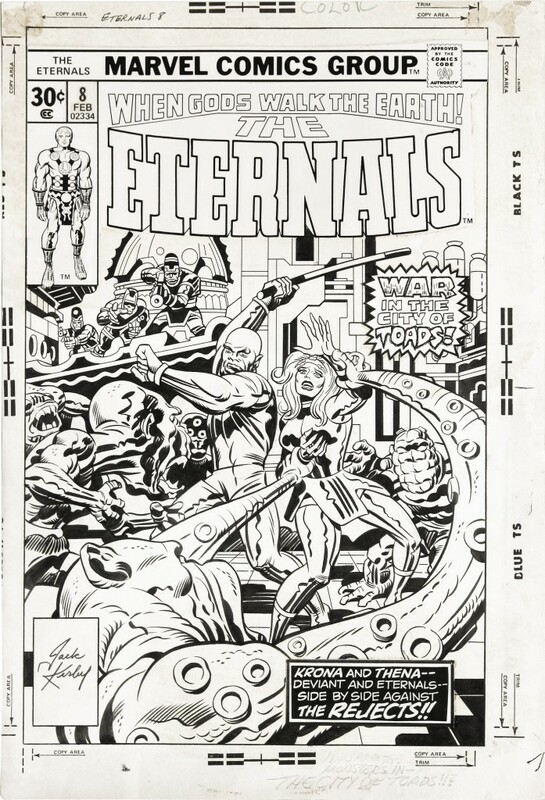 Here is the cover of Eternals# 8 (Feb 1977) by Jack Kirby and Frank Giacoia. You can see the three phases the image went through: (1) a photocopy of the original pencils, (2) a scan of the finished original artwork, then (3) the final published version. 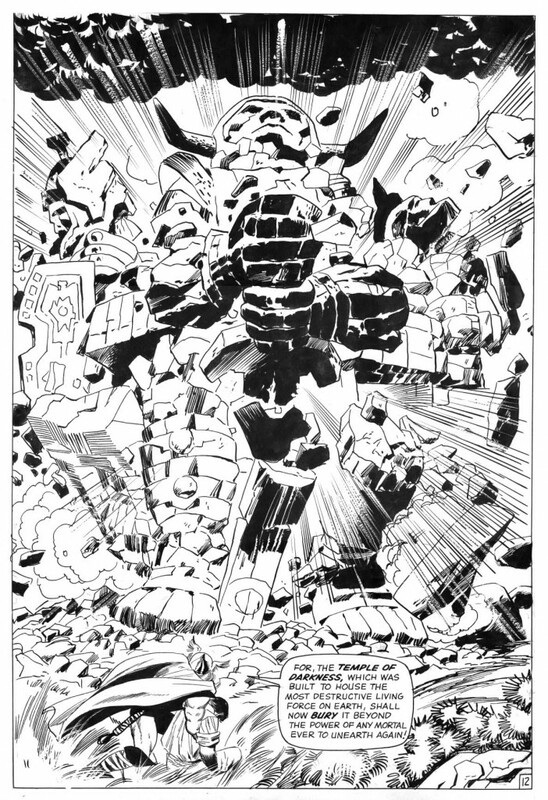 The blank space at the top of the photocopy was on the original image to leave room for the “Marvel Comics Group” logo.